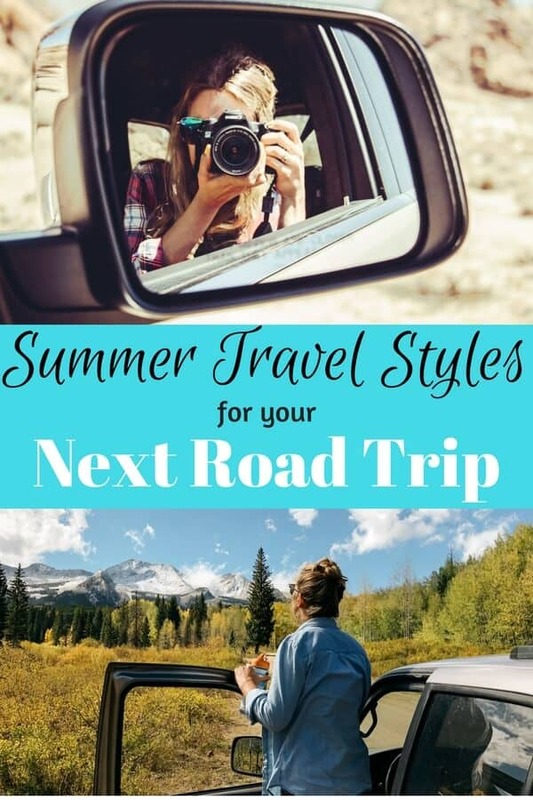 Learning to pack effectively and economically for road trips is no easy feat, especially if your itinerary includes long days in the car, hiking with dogs, downtown dining, and evenings ‘round a campfire. No matter how light I try to pack, my car is almost always full, and space for clothing is severely limited, especially when we’re trying to fit a family of four and a dog or two into a little Pontiac Vibe. 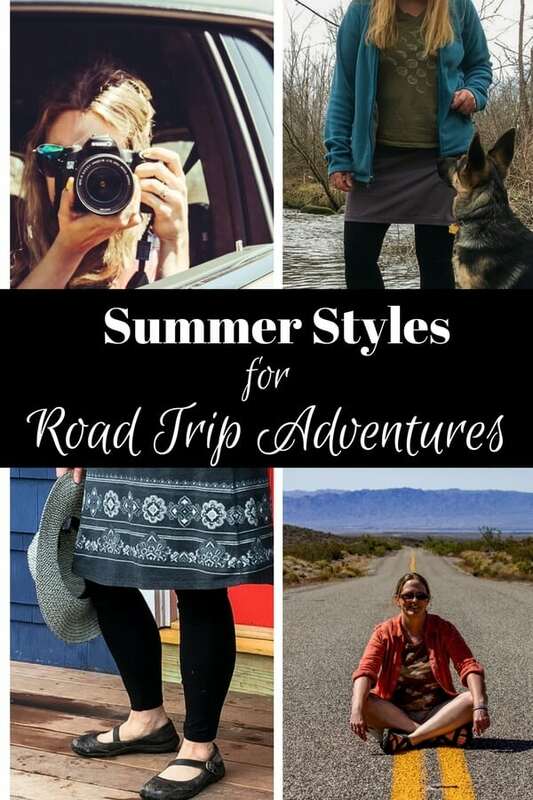 Over years of road tripping, I’ve learned to pack clothes that are both stylish and practical, which is useful advice for all kinds of travel. A good and memorable road trip will throw all kinds of adventures at you, and if you’ve got the right clothes, you won’t even have to think about it before embarking on said adventure. My Kelty daypack holds clothing for a whole week. Suitable travel clothes should be able to take you from car, to hiking trail, to restaurant without a second thought. They also need to look good straight out of the bag (no ironing! 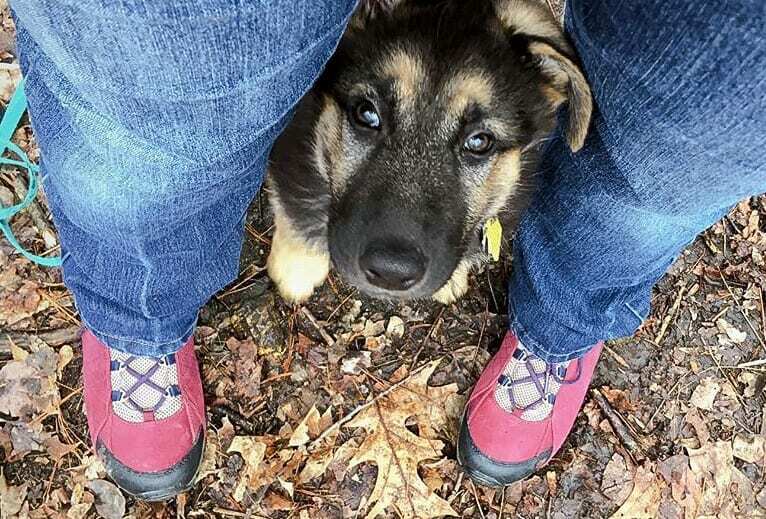 ), and for me, road-trip outfits also have to work well with walking and training puppies. 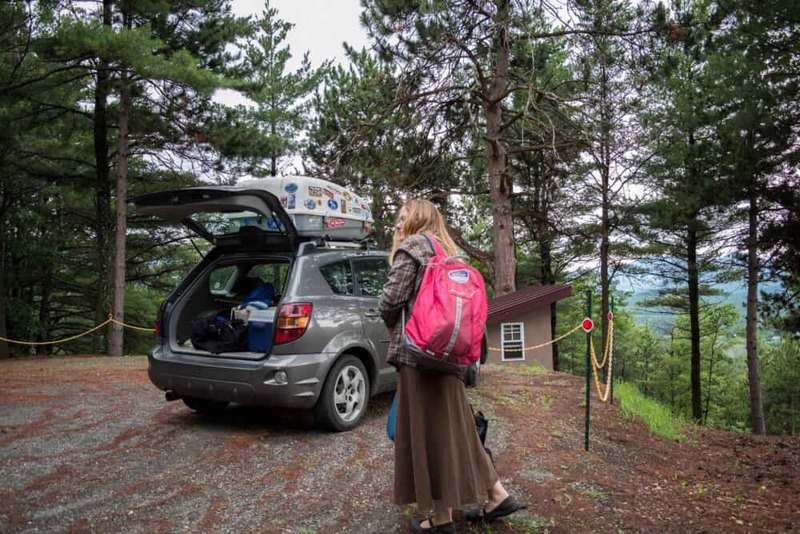 That’s a lot to ask of clothing, but when you spend time living out of your car, you realize that smart packing is the foundation of an outstanding road trip. 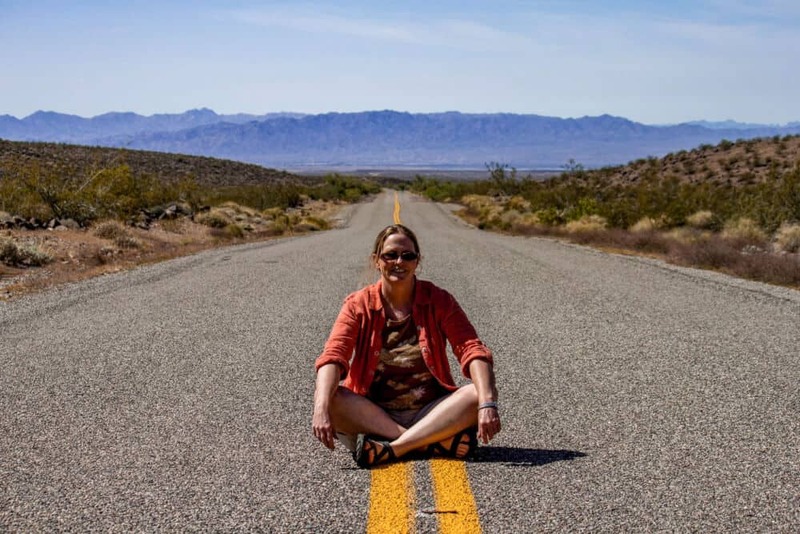 Here are my favorite items for short or long road trips, along with a few reasons why I love them. I am a huge fan of Oboz footwear for hiking, but the Juniper and Sapphire models are created specifically for taking you from the hiking trail to the cafe and then back to the campfire. Both models come in a full boot or low-top style, and you can choose from the regular or waterproof models. These shoes are flexible and low-profile, with a fun line of colors to choose from. 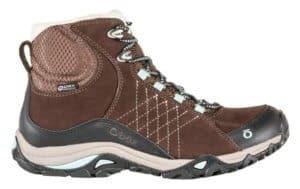 Unlike most hiking boots that you can’t wait to take off when you get to where you’re going, these lightweight Oboz provide comfort all day and well into the night. As an Oboz ambassador, I was given several pairs to try out on various adventures, but the Sapphire mids and lows are my favorites for active road trips. The O Fit Insole makes them incredibly comfortable — they’re the next best thing to going barefoot. Oboz Footwear, based in Bozeman, MT, is strongly committed to treading lightly on the earth. Oboz partners with Trees for the Future to plant a tree for every pair of shoe customers purchase. They also donate shoes to Project Sole, and power their headquarters with 100% wind energy. You can find the Main Street to Mountains collection in select stores or online. The dress I’m thinking of works as a bathing suit cover-up and as a staple for a night on the town. It can be dressed up with strappy sandals, or down with the Oboz Sapphires mentioned above. A good road-trip dress can be layered with leggings, a scarf, and a cute jacket for blustery days, but should also be able to stand alone. It needs to look good straight out of the suitcase, because who has the time (or the electricity) for ironing mid road trip? 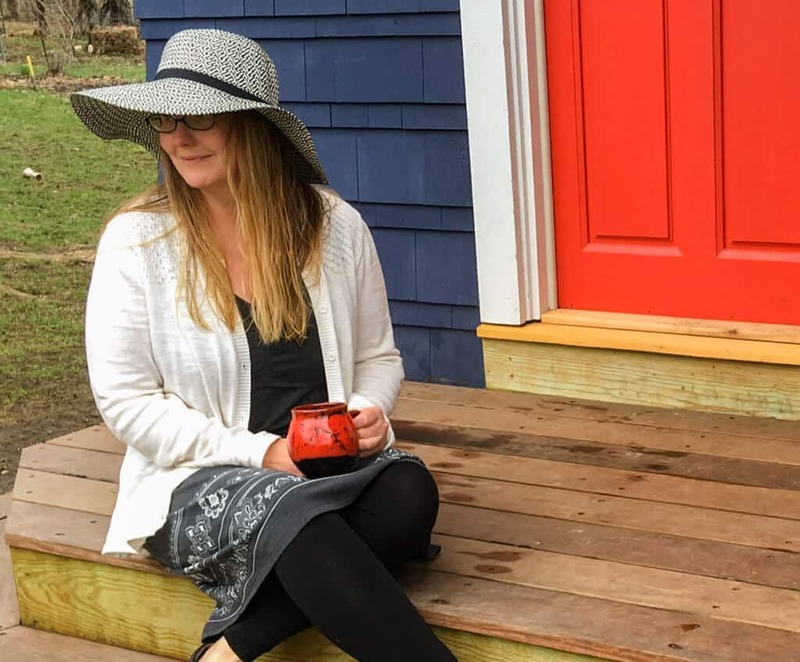 I’ve got a rotating cast of summer dresses that I pack for travel, but the one that I’m most excited about this year is the sleeveless Amberley dress from Aventura Clothing. It’s 95% organic cotton (5% spandex for a nice stretch), and comes in several colors, but I got it in black so I could mix and match it easily. The Amberley went through my packing test last week — I rolled it up and let it sit in my suitcase for several days. It came out mostly wrinkle-free. I love they way it looks on it’s own, but so far in Vermont, I’ve had to pair it with a sweater because spring is refusing to show up. This dress has already been on the hiking trail, as well as out to brunch, so I’m pretty convinced that it will be a road trip staple for years to come. You can save 20% on your own travel styles from Aventura Clothing. Just enter the code BackRoad20 at check out (good for one use only). This jacket is quiet, and it deflects every raindrop! It would be lovely to think that road-trip weather is always sunny and warm. That you can keep your feet bare and your windows rolled down as you wind your way through the mountains or countryside. Alas, rain and wind are part of the road-trip package, so the best way to deal with it is to come prepared. I’ve tried a lot of rain/wind jackets over the years, but my current favorite is the Women’s Panorama Point Jacket by Outdoor Research. The Panorama Point weighs in at just 9.6 ounces, so bringing this jacket along on any summer road trip that involves outdoor adventures is a no brainer. It’s made of 100% ripstop nylon and is totally wind and waterproof. Because it packs up tiny and weighs hardly anything, you can keep it in your day pack for cool-weather hikes or nights out on the town. The left pocket doubles as stuff sack, and you can choose from several snazzy colors, including black and white. I chose “typhoon herringbone,” which I love, but I’m already wishing I’d chosen a darker color, as dirt and grime is very much attracted to me. At least I didn’t order the white one! No matter what styles come and go, t-shirts will always be my favorite road trip staple. Not just any t-shirts will work, though. My favorites have a flattering, feminine fit, feature fun designs, and are rugged enough to hike in, but soft enough to sleep in. Also, I never bring white t-shirts on road trips. White clothes wouldn’t last an hour on me. My new favorite t-shirts all come from United By Blue, which are 100% organic cotton, preshrunk, and made in the USA. At $36 each, these t-shirts aren’t the cheapest you’ll find, but if you sign up for the United By Blue mailing list, you will be able to score a deal if you’re patient. In January, I took advantage of their 10 Ts for $100 sale, and got a bunch of designs for every member of my outdoor-loving family. Like the other brands featured in this post, United By Blue is committed to conservation. Not only are they a certified B Corp, but they also remove a pound of trash from our nation’s waterways for every product sold. 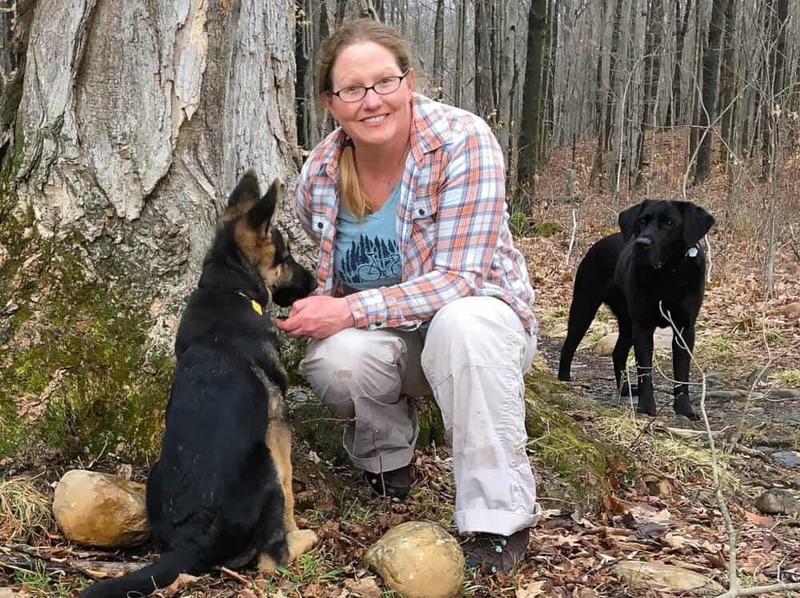 They work with environmental organizations throughout the US to host clean-ups along rivers, bays, estuaries, and beaches all through the year. Check out the United By Blue clean-up calendar to become more involved with the clean-ups. Whoever invented the skort, you are eternally in my debt! Before you click away, hear me out. Skorts today are nothing like the ones our mother’s wore (or was it just my mother?) — you know the colorful polyester numbers that looked like shorts from the back and skirts from the front? Today’s skorts work perfectly for hiking the highest mountains or heading out for a night of dancing. They are cute. They are stylish. And they make it easy for women over 40 to go a bit shorter without feeling like they’re going to bare all at any moment. 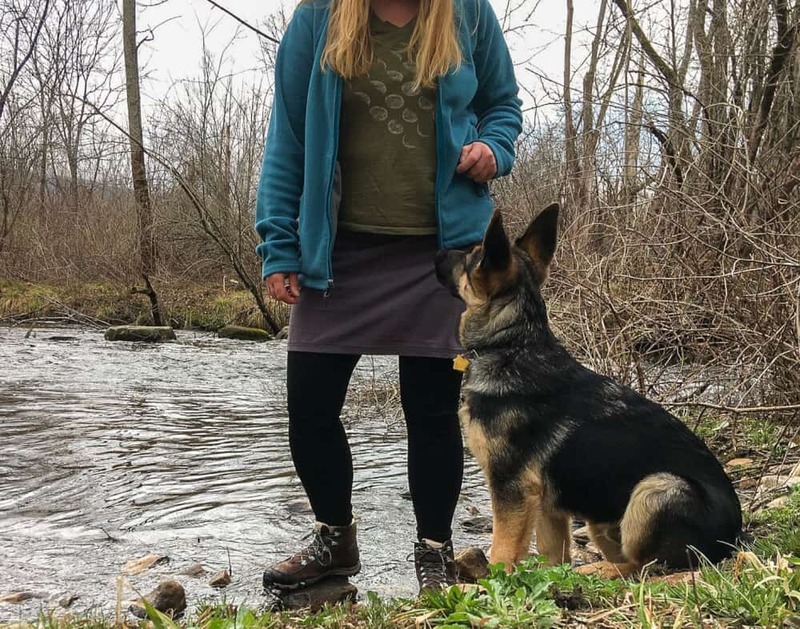 Active skorts are the perfect attire for setting up tents, giving out puppy belly rubs, doing morning yoga, or just hanging out at your favorite roadside coffee shop. I would not travel without at least one. So far, I am not a dedicated follower of any one brand of skort. My current favorite is the REI Co-op Screeline Skort, which is super light for hiking, SPF 50, and quick drying. My second favorite is the Columbia Just Right Skort, which i just bought in grey. No matter where you’re adventuring, you want to bring along clothes and shoes that you can live in. That means clothes that are comfortable and easy to care for, but also clothes that you don’t mind getting dirty. Maybe I’m the last person who should be giving advice about style, as I rarely give it much thought, but finding clothes that look good, pack light, and can take me through a busy day on the road is kind of a necessity. 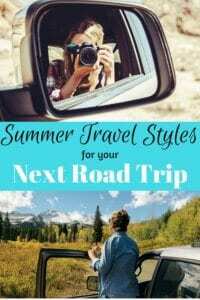 For road trips lasting anywhere from three days to two weeks, I pack my clothes in a small carry-on suitcase, which works better than a backpack for keeping things neat and unwrinkled. I’ve heard lots of good things about packing cubes, but I’m not a convert yet. If you use them, will you tell me in the comments why you love them? Shoes – One pair of hikers (Oboz Sapphires) and one pair of sandals (Oboz campsters). Leggings – One or two pairs, depending on the length of the trip. 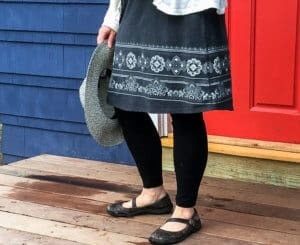 I like the Aventura Bienne leggings. T-shirts – 4 or 5 graphic Ts by United By Blue. Skorts – 1 or 2, depending on the length of my trip. A lightweight jacket – Definitely loving the Women’s Panorama Point Jacket by Outdoor Research for summer. Two lightweight long-sleeve shirts, sweaters, or sweatshirts – Usually a flannel and a hoodie. Socks – I overdo it on socks because dirty socks are the worst. My favorites are Darn Tough (made in Vermont!). A swimsuit – Don’t have a favorite, but I’m looking. A pair of jeans – Jeans are heavy and bulky, but I still need to have one pair with me. My favorites are from American Eagle. A lightweight fleece – For chilly nights in the mountains. My favorite fleece is from REI. 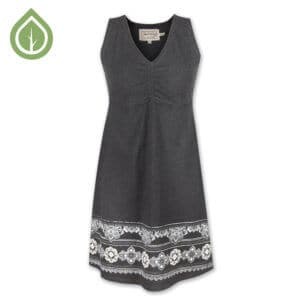 A cute dress – The Amberley from Aventura Clothing. A wool hat – You never know when you’ll need it. 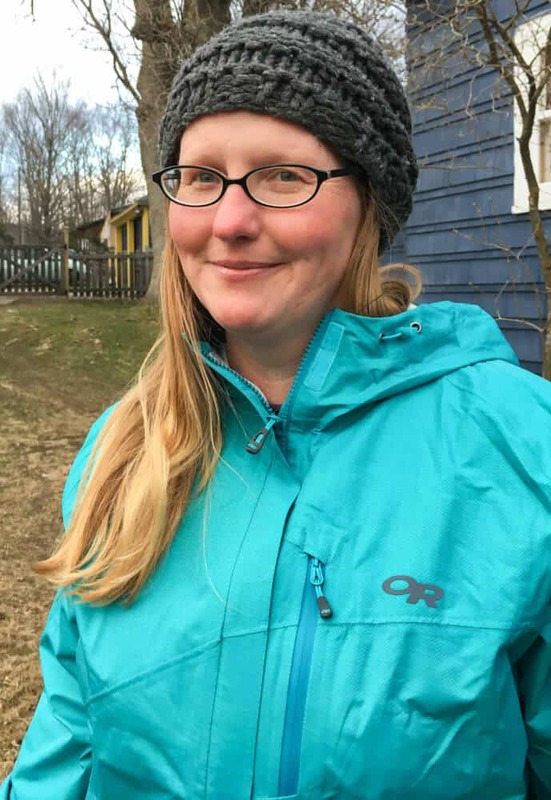 I love my beanie from Turtle Fur (another Vermont company!). Obviously, what you pack for your road trip adventure will be based on your travel style and the activities you are planning, but the above items are pretty much all I need for driving, hiking, dog training, wine tasting, and waking up to take photos of the sunset. I’d love to know – What’s the one piece of clothing that you just can’t live without when traveling? Please note: I’m an ambassador for both Oboz Footwear and Aventura Clothing. I have received complimentary items from both companies to try out on my adventures. I occasionally receive free items to facilitate reviews, but I would never recommend any item I didn’t stand behind whole-heartedly. P.S. your doggys are just delightful!